Pokemon the Movie: Black- Victini and Reshiram and Pokemon the Movie: White - Victini and Zekrom are two versions of the 14th film in the Pokemon franchise. The movies are sometimes referred to as Pokemon Movie 14a, Pokemon Movie 14b for this reason. The Japanese title for the films translates to "Pocket Monsters Best Wishes! The Movie: Victini and the White Hero: Reshiram" and "Pocket Monsters Best Wishes! The Movie: Victini and the Black Hero: Zekrom" respectively. The film was first seen in teaser trailer format at the end of the prior movie; Zoroark Master of Illusions; with the trailer also acting as a reveal of Victini the Victory Pokemon. All initial trailers for the movies featured Victini and Zekrom, it wasn't until fairly close to release that trailers featuring Reshiram were revealed. These were the first Pokemon Movies to compliment the Pokemon Black & White (or Best Wishes) series' of the anime. The movies initial release came in Japan on July 16th, 2011 and the usual staggered global releases followed until the summer of 2012 when the films had completed their European releases. This was the first Pokemon movie to hit U.S cinemas since Pokemon Heroes: Latios & Latias and was distributed by Cinedigm on December 3rd and 4th 2011. Fans who attended on these dates were given a special limited edition Pokemon Gift Pack which contained the following:- A PokéDex 3D Card of Victini, A special supersized Victini trading card, an instruction card telling you how to obtain Victini in game, a sticker for Pokemon White and a manga sample of Pokemon Black & White. Unfortunately some cinemas didn't recieve their packs in time for these dates, but people who watched the film were able to claim their free gift packs online afterwards. Cinedigm only deals with U.S movie showings and as such there was never a theatrical release in Canada. Pokemon the Movie: Black- Victini and Reshiram was shown in the UK on Disney XD and in the USA on Cartoon Network in 2011. Pokemon the Movie: White- Victini and Zekrom was broadcast in the U.S on February 11th, 2012 on Cartoon Network. The DVD's were released together as a twin pack, first being released in the U.S on April 3rd, 2012 and then less than a week later (April 9th) in the UK and other PAL regions by Universal. Long ago, the castle watched over the Kingdom of the Vale, and the partnership between Victini and the king protected the people who lived there. 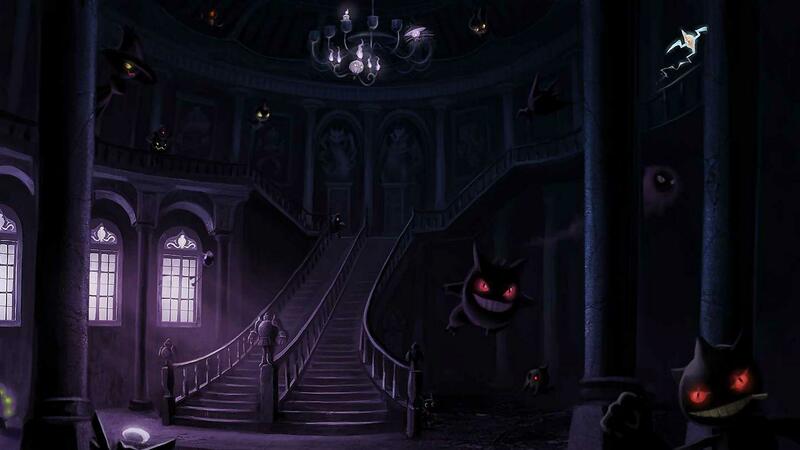 But that kingdom has since vanished into memory, leaving behind powerful relics and ancient Pokémon. Damon, a descendant of the People of the Vale, is trying to restore the lost kingdom with the help of his Gothitelle. His quest has taken him to the far reaches of the frozen tundra, and he has convinced the Legendary Pokémon Zekrom to help him! Damon plans to trap Victini and harness its power, and as that plan gets under way, the entire town of Eindoak faces disaster! Can Ash use the courage of truth to convince the Legendary Pokémon Reshiram to to help stop Damon? Can they rescue Victini? The greatest adventure in Pokémon history approaches!